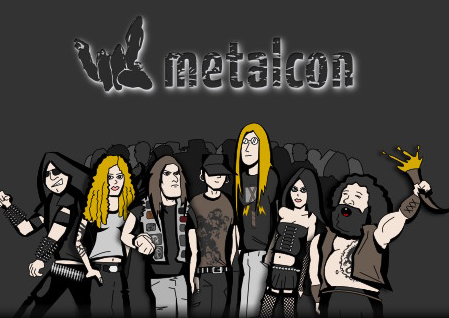 Finally metalcon.de the social networking site which Jonas, Jens and me created in 2008 gets a redesign. Thanks to the great opportunities at the Institute for Web Science and Technologies here in Koblenz (why don’t you apply for a PhD position with us?) I will have the chance to code up the new version of metalcon. Kicking off on July 15th I will lead a team of 5 programmers for the duration of 4 months. Not only will the development be open source but during this time I will constantly (hopefully on a daily basis) write in this blog about the design decisions we took in order to achieve a good scaling web service. a user base of 10’000 users. 624 MB of text and structured data about the mentioned topics. fairly good visibility in search engines. Well at that time we already knew of too many problems so that fixing was not the way to go. At least we did learn a lot. Thinking about high scaling architectures at that time I new that a news feed (which the old version of metalcon already had) was very core for the user experience. Reading many stack exchange discussions I knew that you wouldn’t build such a stream on MySQL. Also playing around with graph databases like neo4j I came to my first research paper building graphity a software which is designed to distribute highly personalized news streams to users. Since our development was not proceeding we never deployed Graphity within metalcon. Also building an autocomplete service for the site should not be a problem anymore. Over the next weeks I hope to read as many interesting articles about technologies and high scalability as I can possibly find and I will be more than happy to get your feedback and suggestions here. I will start reading many articles of http://highscalability.com/ This blog is pure gold for serious web developers. During a nice discussion about scalability with Heinrich we already came up with a potential architecture of metalcon. I will soon introduce this architecture but want to check first about the best practices in the high scalability blog. In parallel I will also collect the features needed for the new metalcon version and hopefully be able to pair them with usefull technologies. I already started a wikipage about features and planned technologies to support them. I will also need to decide the programming language and paradigms for the development. Right now I am playing around with ruby on rails vs GWT. We made some greate experiences with the power of GWT but one major drawback is for sure that the website is more an application than some lightweight website. So again feel free to give input, share your ideas and experiences with me and with the community. I will be ver greatfull for every recommendation of articles, videos, books and so on.